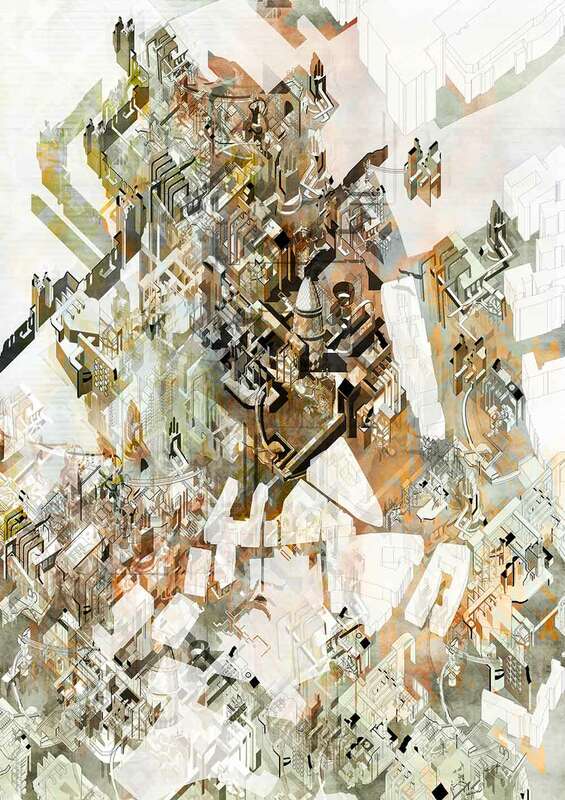 Graduate shows 2015: Larisa Bulibasa has developed a vision for the City of London in which a complex network of alleyways, dead ends and enclosed spaces evoke the bewildering financial practices conducted within. 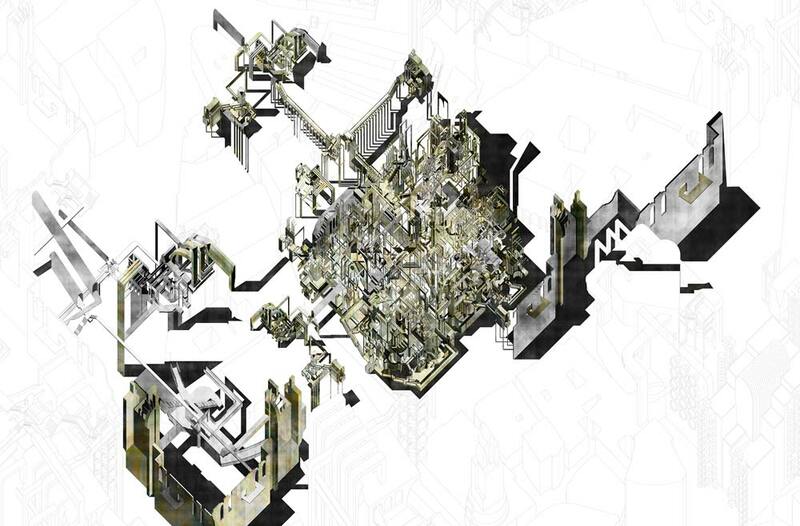 Bulibasa developed the project during her studies on the MArch course at the Bartlett School of Architecture. 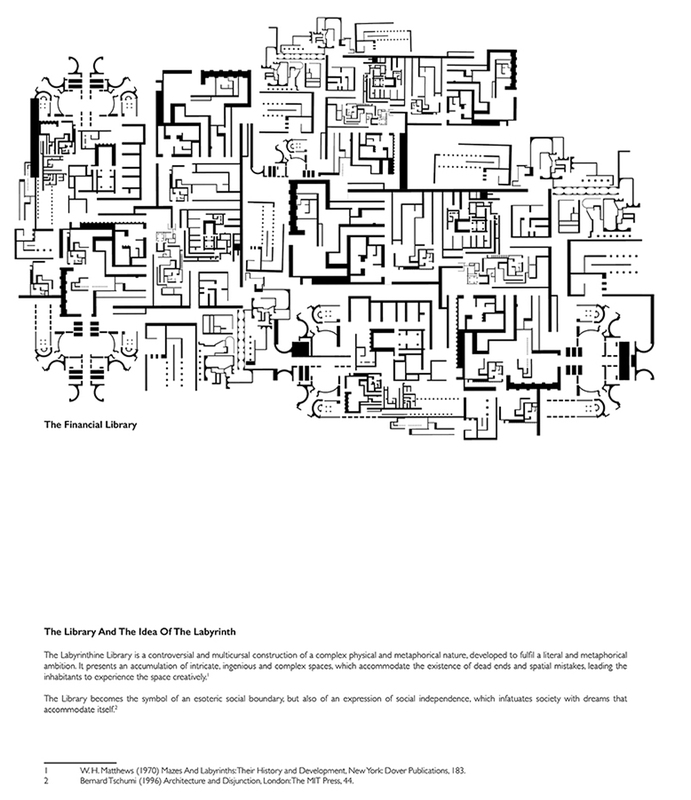 Her aim was to use the concept of a labyrinth "as a means to observe the rather peculiar behaviours of different factions of society within the financial system". 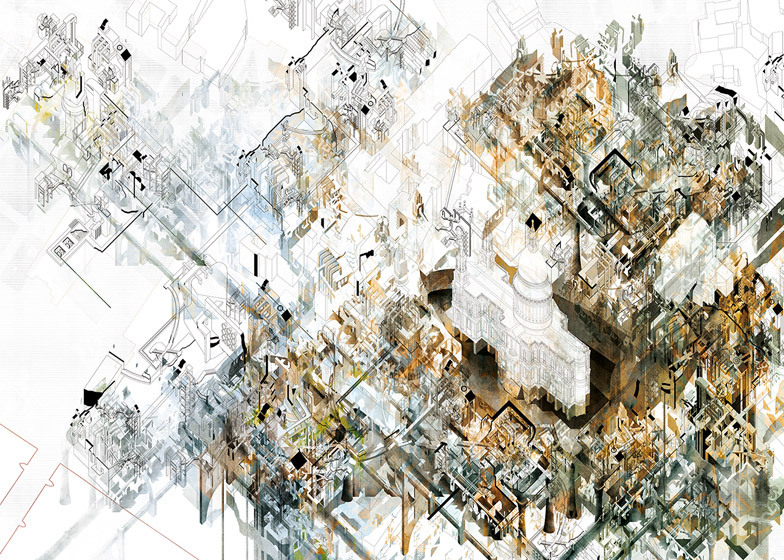 Rather than communicating ideas about the City's architectural layout and evolution using conventional mapping methods, Bulibasa sought a suitable metaphor to express its spatial complexity and the murky economic forces that informed its current arrangement. "The project started with a desire to investigate the hypothesis that there is a labyrinthine concept underlying the Square Mile's development and growth," she told Dezeen. "Further into the project, the labyrinth motif became a model of thought to discuss current urban design issues and the opportunity for a new architectural style." Bulibasa's speculative masterplan for the City's future development envisages the entire area as a "financial library" that would be symbolised by a main campus containing a dense network of archives, rooms, stairs and balconies. The campus would be situated at Change Alley – also known as Exchange Alley – as a monument to the location of the first major financial crash of Britain's capitalist era. The alley was a centre for financial trading when the South Sea bubble, created by a shipping monopoly, burst in 1720. New structures added gradually to the district over a period of years would accentuate the sense of confusion and disorientation currently experienced by financial workers in its many narrow passages and dead-end streets. "The labyrinthine architectural language the project explores is fragile, collaged, fragmented and aims for spatial complexity, where the inhabitants' sensations and feelings are enhanced," she explained. 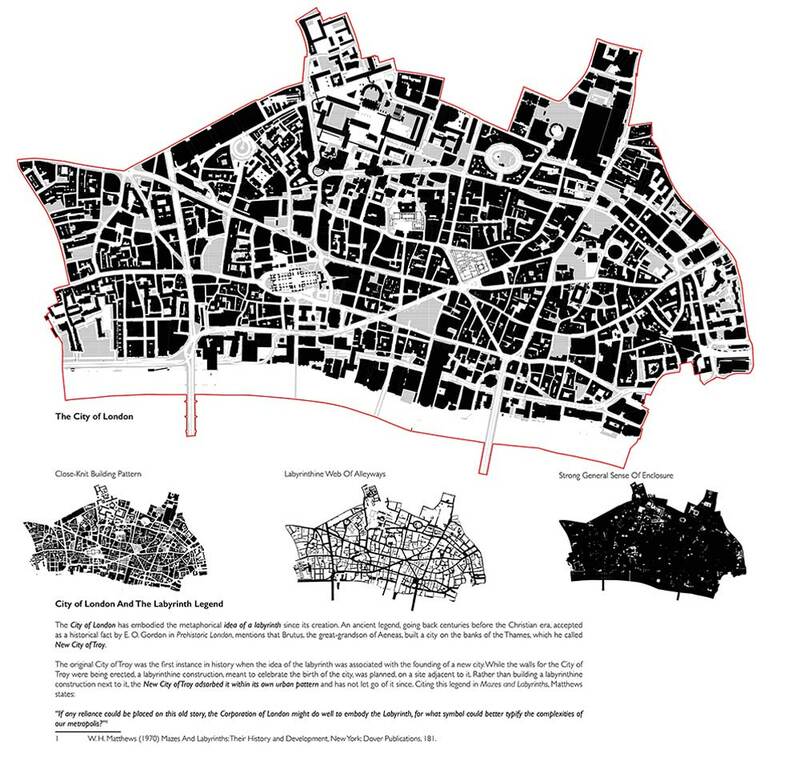 "It is a translation not only of the physical characteristics of the City's urban fabric, but also of the often conflicting state of affairs apparent in the financial market, inducing narratives through the architecture that only City workers would fully understand and appreciate." Recognised landmarks are given new meanings and purposes within the changing context of the City, with St Paul's Cathedral, for example, providing "proof that divinity does not rule over the elusive practice of finance," while Guildhall is "characterised as a 'curiosity piece' that governs the entire district." The Financial Library campus would incorporate details corresponding to existing places in the City, including a balcony intended to recall the roof terrace of the James Stirling-designed No 1 Poultry, which is notorious as a site where many City workers have committed suicide. "In the context of the Library, the balcony functions as a momentary pause, a space to gather one's thoughts and from where the inhabitants would have a captivating view over the labyrinthine organisation of the Library," Bulibasa added. The proposals are intended to be interpreted either as a satirical narrative on the chaotic nature of financial trading, or an attempt to encapsulate the experience of the City's workers in a three-dimensional form. 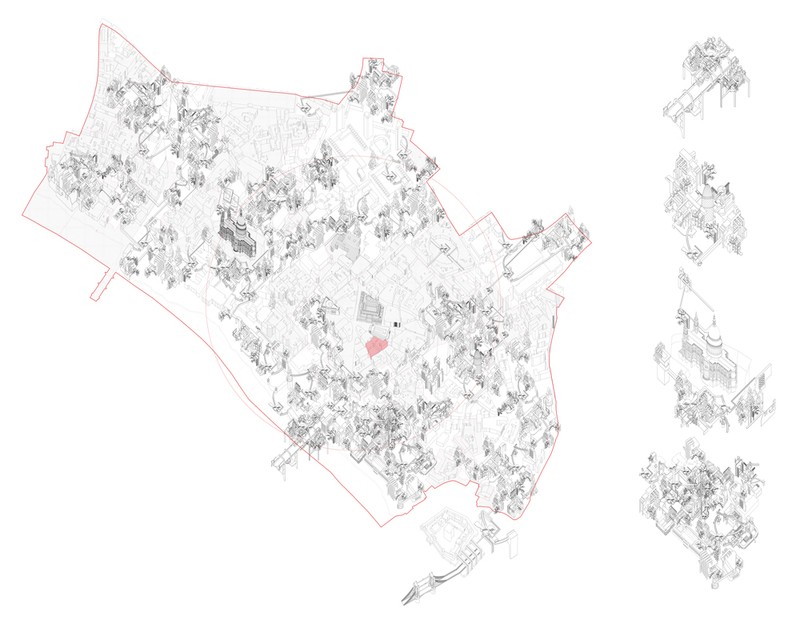 Bulibasa studied with the Bartlett's Unit 12, which is led by tutors Jonathan Hill, Elizabeth Dow and Matthew Butcher, and which this year focused on monuments and ruins within the city. Another Unit 12 project from this year featured architecture for atheists.